Are you in search of a kids' activity that will promote your child's mental, social, and physical development? How about the Scouts? The first Scouts organisation was founded in England as a way to teach boys survival skills, hard work, and comradeship. The first New Zealand Boy Scout camp was started in 1908, and Scouts New Zealand is now a national movement that includes both boys and girls , providing camps and activities for children of all ages. Will Your Kids Enjoy the Scouts? Whether your child is a nature lover, sports fanatic, science geek, adventurer, or social butterfly, Scouts could be for them! Scout groups are available throughout the country for boys and girls aged 6 - 25, so no matter where you live there is likely to be one in your area. 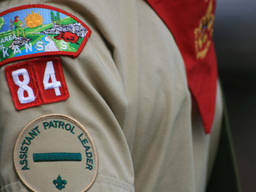 Scouts members work towards badges of achievement in a number of different areas at their own pace. They receive a patch or emblem which is sewn on to their uniform each time they reach a new skill level. Due to the non-competitive ethos of Scouts, it can be a great activity for kids with additional needs or quieter personalities. At the same time there is plenty of opportunity to take part in different kids activities and leadership roles within Scouts, so confident kids will excel. No matter what your kid's personality or level of development, joining the Scouts might help them find their niche and make friends. You can start your child in Scouts from age six. Costs are usually fairly minimal and usually take the form of a yearly subscription. Uniform costs are additional and you will need to purchase a shirt, scarf, and woggle for your child. To find out whether there is a Scout group in your area, check out our ActiveActivities directory or the Scouts New Zealand website.